New Orleans is a city that takes your breath away. It’s full of beautiful architecture, one-of-a-kind food and culture, and plenty of fabulous activities for LGBT travelers. These reasons and many more make New Orleans the perfect getaway before saying ‘I do.’ While there are countless adventures to be had, we decided to make a three-day itinerary just for you! When you’re ready to find the perfect place to stay, check out this list of 13 LGBT-friendly hotels. Begin your New Orleans experience in its most famous neighborhood: the French Quarter. 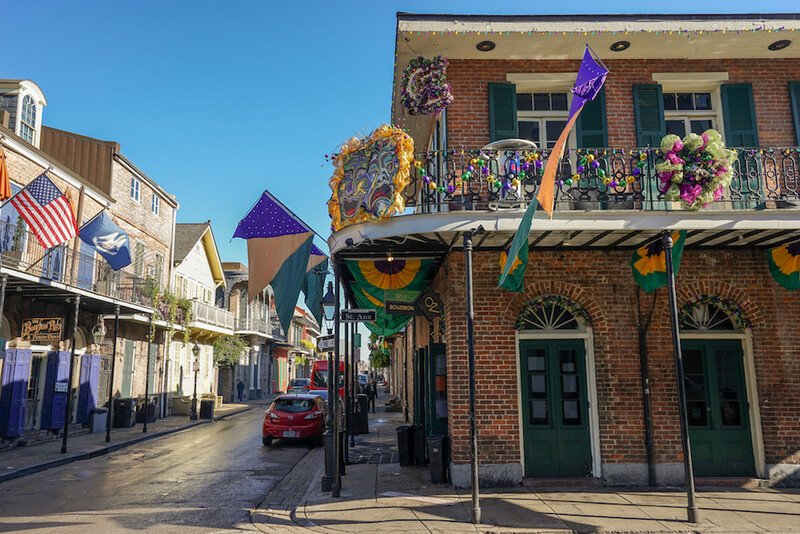 Strolling around the Quarter during the day will give you a chance to admire the decorative balconies, shop for local art, and take a group photo with the backsplash of an amazing architectural building. If you’re looking to start the party extra early, stop by one of our favorite Bourbon Street spots, Bourbon Heat, and have yourself a hurricane. 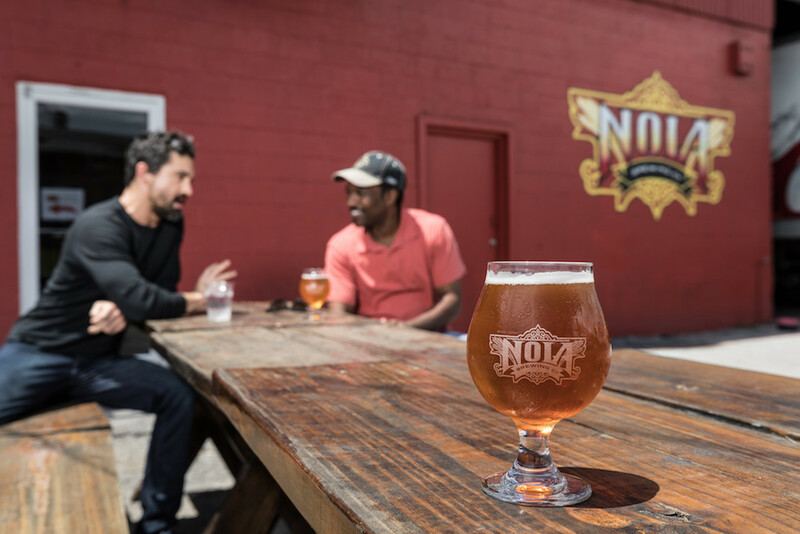 Next, head out to NOLA Brewery – home of the famous 7th Street Wheat and Hopitoulas beers. Every Friday from 2-3 p.m., all patrons are given one free beer of their choice. Take the brewery tour, which showcases some of NOLA Brewery’s finest beers, their brew process, and much more. For dinner, we recommend checking out Lüke, a French and German-inspired Brasserie with an upscale sea-themed atmosphere. Dive into the full experience with stuffed oysters or the fresh gulf drum – both NOLA classics. For dessert, you can’t go wrong with a few orders of bread pudding for the table to share. After dinner, take a short walk to Harrah’s New Orleans and try your luck. The world-famous casino has a sea of slot machines and enough table games to keep you occupied for hours. Start your day the right way with a famous NOLA boozy meal: drag brunch at the Country Club in the hip Bywater neighborhood. Sing along to your favorite pop tunes while watching drag queens turn it out. Bonus: unlimited mimosas for $18! When the drag queens retire to the changing room to get ready for the next show and your few hours of bottomless mimosas is up, put on your swimsuit and head to the pool out back. It’s one of the top LGBT hangouts in the city and has some of the cutest bartenders. After an afternoon at the pool, grab a quick nap and then get ready for dinner. I would recommend checking out haunted Muriel’s located in Jackson Square. Not only will you get a delectable New Orleans meal, but you may run into Jourdan – the ghost whose spirit lives in the restaurant. Definitely check out the seance room upstairs. The upper end of Bourbon Street is the epicenter of gay nightlife. Start off your downtown bar crawl at Café Lafitte in Exile, the oldest continuously running gay bar in the US. Not only will you experience history, but you will also enjoy a few good cocktails on the balcony. When you’re ready to get a little wilder, head to Oz, one of NOLA’s best dance clubs. After a good night of celebrating, head to the Irish Channel neighborhood for an unforgettable brunch at Atchafalaya. One of our favorite things about this venue is their make-your-own Bloody Mary bar. Add as many olives, green beans, and bacon strips as you want to your creation. Be sure to check out the Eggs Atchafalaya, which is a delectable combination of southern comforts. If you and your crew want something quicker, grab beignets and a café au lait to go from Café Du Monde, and eat on the steps of the Moon Walk on the edge of the Mississippi River. End your New Orleans experience with a good ol’ swamp tour of a Louisiana bayou. One of our personal favorites is Jean Lafitte Swamp Tour. 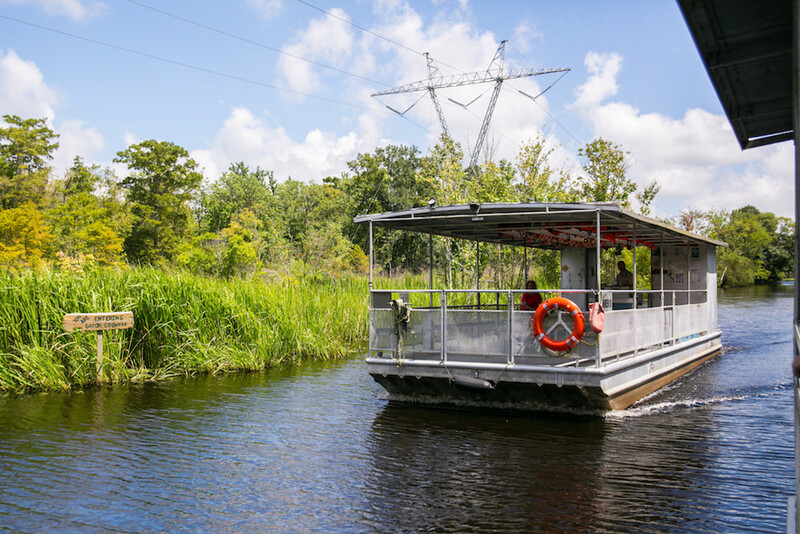 They offer an incredible airboat experience while being a ton of fun and LGBT-friendly. You can see our excursion with Varla Jean Merman from earlier in the year – watch the video here! Race in go-carts at Nola Motorsports – Speed along the 2.75 mile world-class track just a short drive outside of the city. Kayak on the bayou – Soak up the sun and get in some exercise as you take in the wildlife of south Louisiana. Have dinner on Steamboat Natchez – Hop aboard Steamboat Natchez and enjoy the sounds of smooth jazz and a fine dining experience on New Orleans’ most famous boat. 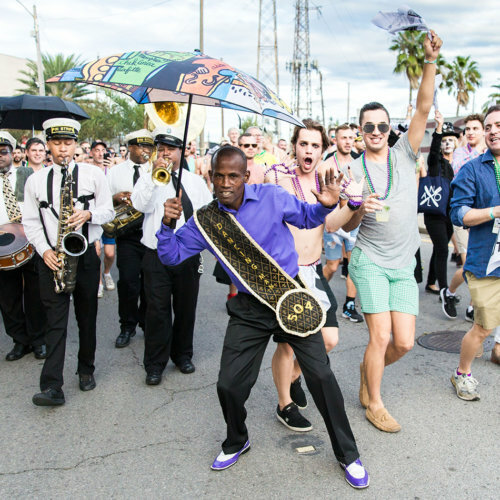 With countless activities, unique culinary experiences, and all the debauchery you’re looking for, New Orleans is the perfect destination for an unforgettable bachelor party weekend.